Bangalore-based mobile gaming startup Mech Mocha Game Studios Pvt. Ltd has raised $5 million (Rs 32 crore) in its Series A round led by venture capital firms Accel Partners and China's Shunwei Capital, a company statement said. Existing investor Blume Ventures also participated in the round. VCCircle broke the story earlier this month, wherein it pegged the round at $3.8 million, citing filings with the Registrar of Companies. Accel had invested around $1.7 million while Shunwei put in $1.5 million, the filings showed. Milestone Trusteeship Services Pvt. Ltd, a debenture trustee that caters to Blume Ventures, and Australia-based S Deo Corp Pty Ltd also took part in the round, the report said. "The Indian mobile gaming sector is growing at a fast pace and holds great opportunity. We hope to share our experience in China and use it to create new opportunities for Mech Mocha in India,” said Tuck Lye Koh, founding partner and CEO, Shunwei Capital. The fresh funding comes almost a year after the company raised $1 million from Blume and e-commerce firm Flipkart. Mech Mocha will deploy the funds to develop and launch new mobile-gaming titles across casual and mid-core gaming categories, targeted at the Indian audience, the startup said in the statement. Mech Mocha was launched by Arpita Kapoor and Mohit Rangaraju in 2014. Its first game, Puppet Punch, clocked a lakh downloads within the first four days of launch in January 2015. The company develops and publishes freemium games, with Chhota Bheem-Himalayan Game being its first offering for the Indian market. It claims that over 4 million Indians have played the game so far. "We are exploring partnerships with global gaming companies to release their blockbuster gaming titles in India. We will announce a partnership soon," Kapoor told VCCircle. The company will also launch a new game in a couple of months. Besides investing in localisation, Mech Mocha plans to utilise part of the funds raised on an integrated technology platform with capabilities in behavioural analytics, multiplayer, LiveOps and monetisation. Shunwei Capital, which invests in mobile Internet, Internet of things and tech companies, has been keen on investing in Indian startups in partnership with domestic venture capital firms. It had closed its third fund in July 2015 with a capital commitment of $1 billion, a report by Chinamoneynetwork.com said previously. In February this year, it had invested $3 million in Mumbai-based Truebil, a marketplace for pre-owned cars. The gaming startup space has seen some investment activity over the past few months. Earlier this year, Udupi-based gaming startup 99Games Online Pvt. Ltd. raised an undisclosed amount of funding from Japanese investment firm Dream Incubator. Existing investors Ascent Capital and Kalaari Capital also participated in the round. 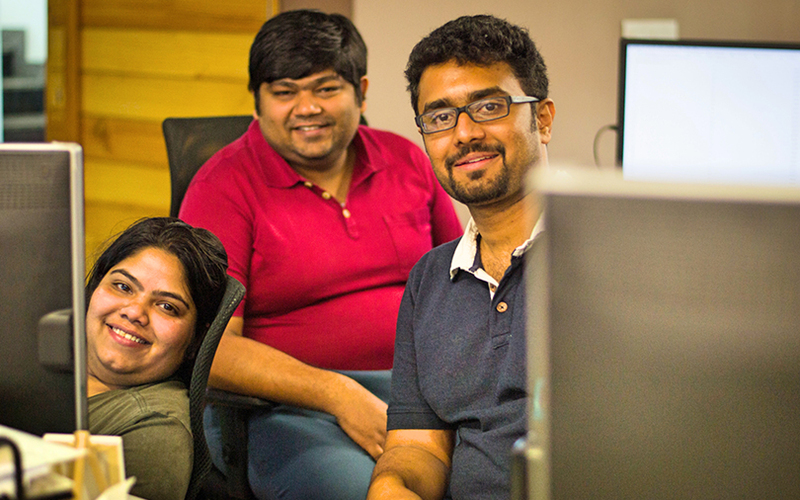 In November last year, mobile gaming startup PlaySimple Games secured $4 million (nearly Rs 27 crore then) in a Series A round led by SAIF Partners and IDG Ventures India. In the same month, Mumbai-based mobile games developer Nazara Technologies said it may opt for a public listing in 2018. Around the same time, social media giant Facebook Inc. launched a feature called Facebook Instant Games, which will allow users to play games with messenger contacts. In September 2016, mobile games publisher Flixy Games Pvt. Ltd raised $425,000 (Rs 2.8 crore) in seed funding from Rebright Partners, a Japan-based venture capital firm.